Analysis: Signed to a five-year, $38 million contract during the 2015 offseason, Clay never quite lived up to his paycheck but did start 53 games the past four seasons despite dealing with a number of injuries. Friday's transaction clears up $4.5 million on the 2019 cap sheet while leaving the Bills with Jason Croom and Logan Thomas (a restricted free agent) at tight end. Clay celebrated his 30th birthday earlier in the week and may have to settle for a part-time role on the open market. Analysis: Clay looks nowhere near the player who was once a big problem for secondaries, as this was his lowest output since the 2012 season and production nowhere near commensurate with his five-year, $38 million contract. He still has one year left on the deal, but his numbers are so far off from what the Bills are paying for -- not to mention he's almost always on the injury report -- there's talk the Bills might let him go a year early and reboot the position. Analysis: Clay has seen his workload reduced significantly during the back half of the season, as he's been targeted just five total times since Week 8 (though a hamstring injury played at least a bit of a role in that). 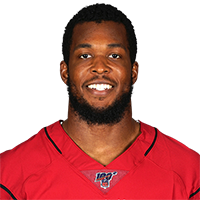 He's still been able to make the active roster, however, as Buffalo never had a week with both Jason Croom and Logan Thomas at 100 percent. According to Joe Buscaglia of WKBW.com, that tight end duo is healthy this week, leaving the 29-year-old Clay as a healthy scratch. Clay, returning after missing two games due to a hamstring injury, caught one of two targets for nine yards in Sunday's loss to the Dolphins. 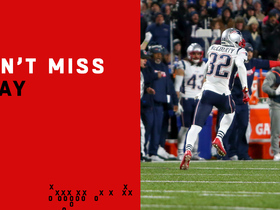 Analysis: It was the catch that he didn't make that stands out, as Clay was wide open in the end zone with seconds left and the Bills trailing by four. Josh Allen's pass fluttered too much and Clay couldn't come up with it, though in fairness it would have been a great catch had he dove and help on. Clay may be close to healthy again, but with an awful 20-178-0 line on the season, he can pretty much be safely ignored in fantasy play. Clay (hamstring) is active Sunday against the Dolphins. Clay (hamstring) is listed as questionable for Sunday's game against the Dolphins after practicing in a limited fashion Wednesday through Friday. Analysis: Clay looks like a good bet to return to action after missing the Bills' last two contests. Considering he hasn't caught more than four balls or found the end zone even once in 2018, Clay represents little more than a dice roll for fantasy purposes if he achieves an active status come Sunday. At least he's getting healthier again, and Clay did finish the 2017 season strong after a series of disappointing starts earlier in that campaign. Clay (hamstring) remained limited at practice Thursday. Analysis: With back-to-back practice appearances, Clay has a shot to return to action Sunday against Miami, the team that drafted him in 2011. If he does suit up, however, he wouldn't be a high-percentage fantasy play in Week 13. In nine games to date, the tight end has logged the modest total of 19 catches (on 31 targets) for 169 yards and zero TDs. Coach Sean McDermott said Clay (hamstring) would be a limited participant in Wednesday's practice, Joe Buscaglia of WKBW.com reports. Though Clay (hamstring) didn't play in Sunday's 24-21 win over the Jaguars, he hasn't experienced a setback in his recovery, Matthew Fairburn of The Athletic reports. Analysis: Clay didn't practice at any point last week and missed his second straight game with the hamstring issue, but is apparently making slow but steady progress. 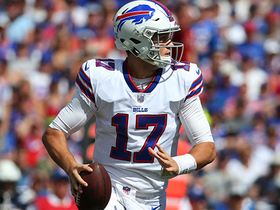 The Bills' passing game didn't produce much against Jacksonville in Week 12, as quarterback Josh Allen totaled 160 yards through the air while completing eight of 19 attempts. If Clay can return to practice in some capacity this week, he should have a shot at suiting up Sunday against the Dolphins. Clay (hamstring) is inactive Sunday against Jacksonville. 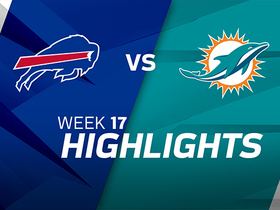 Clay (hamstring) will be listed as doubtful for Sunday's game against the Jaguars, Mike Rodak of ESPN.com reports. Analysis: Clay will not practice Friday, which has been the case for him all week, and it looks like he will remain sidelined despite the Bills coming off a bye. Jason Croom and Logan Thomas are in line to handle the tight end duties for the Bills once again. The Bills' Thursday practice estimation lists Clay (hamstring) as a non-participant. Analysis: Clay has one more chance to fit in some work Friday, but if he's unable to rally in time to suit up Sunday against the Jaguars, Jason Croom and Logan Thomas would head the Bills' Week 12 tight end corps. Coach Sean McDermott said Clay (hamstring) won't practice Wednesday, Matthew Fairburn of The Athletic reports. Analysis: The fact that Clay still isn't practicing coming out of the Bills' Week 11 bye isn't the most encouraging of signs with regards to his outlook for Sunday's game against the Jaguars. 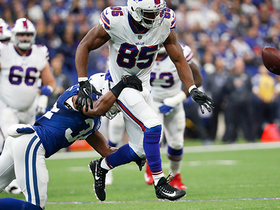 Unless Clay is able to fit in some work Thursday or Friday, the Bills will proceed with Jason Croom and Logan Thomas as their primary tight ends in Week 12. 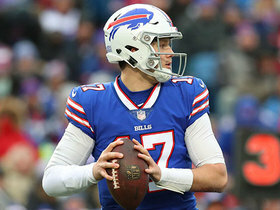 Clay (hamstring) didn't participate in Tuesday's practice, Mike Rodak of ESPN.com reports. Analysis: Following their Week 11 bye, the Bills held practices Monday and Tuesday, but the team won't have to provide its first Week 12 injury report until Wednesday. With Clay still not resuming on-field work, it's expected that he'll officially go down as a non-participant Wednesday, casting early skepticism on his chances of playing Sunday against the Jaguars. If Clay misses a second straight game, Jason Croom and Logan Thomas would likely split work at tight end. Coach Sean McDermott said Clay (hamstring) wouldn't participate in Monday's practice, Mike Rodak of ESPN.com reports. 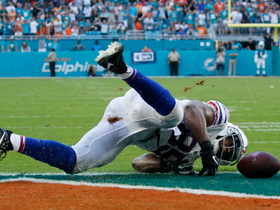 Clay (hamstring) will not play Sunday against the Jets, Chris Brown of the Bills' official site reports. Analysis: Clay did not participate in the Bills' first two practice sessions of the week, and head coach Sean McDermott wasted no time Friday morning ruling him out for Week 10. McDermott indicated the Bills are considering adding a tight end to the roster, but regardless, either Logan Thomas or Jason Croom figures to get the start in Clay's place. Clay (hamstring) was listed as a non-participant at Thursday's practice. Analysis: Per Sal Capaccio of WGR Sports Radio 550 Buffalo, Clay was spotted working with trainers off to the side during the portion of practice that was open to the media. The tight end was also a spectator for Wednesday's practice and was labeled by coach Sean McDermott as "week-to-week" Monday, so there doesn't seem to be much hope for Clay playing in Week 10 against the Jets. If the veteran is sidelined, Jason Croom and Logan Thomas would likely share snaps at tight end. Clay (hamstring) isn't participating in Wednesday's practice, Matthew Fairburn of The Athletic reports. Clay, who suffered a hamstring injury during Sunday's loss to the Bears, was labeled "week-to-week" by coach Sean McDermott on Monday, Chris Brown of the Bills' official site reports. Clay was forced out of Sunday's game against the Bears with a hamstring injury. Analysis: Prior to his exit from the contest, Clay -- who came into Week 9 with 19 catches on 31 targets for 169 yards -- did not catch any passes. Buffalo Bills quarterback Josh Allen scrambles around multiple Dolphins defenders before launching a near-touchdown pass to Charles Clay in Week 13 of the 2018 NFL season. 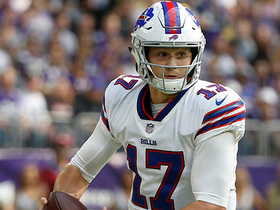 Buffalo Bills QB Josh Allen finds tight end Charles Clay for a 13-yard catch and run. 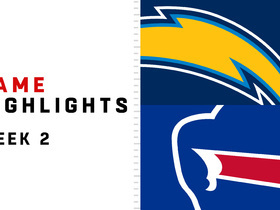 The Los Angeles Chargers veteran quarterback Phillip Rivers dominates in Week 2 against the Buffalo Bills in a 31-20 win. 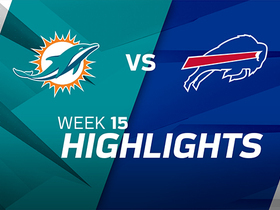 Buffalo Bills quarterback throws laser to tight end Charles Clay for a 21-yard completion.